For just a few days each year, the embankment of the Ajax bay at Vladivostok’s Russky Island turns into a colorful carnival venue, where bands, singers, dance groups and artists from all over Russia’s Far East gather to perform before the delegates of the annual economic forum. With crowds cheering, dancers from the Kamchatka region demonstrated how well funk music and breakdancing could go along with local tribal culture, dancing to James Brown tunes in traditional Itelmen costumes. — Denis Bolotsky (@BolotskySputnik) 11 сентября 2018 г. Several years ago Russian authorities turned the previously uninhabited Russky Island into a world-class international university campus, with the Far Eastern Federal University becoming the largest educational facility in the region. 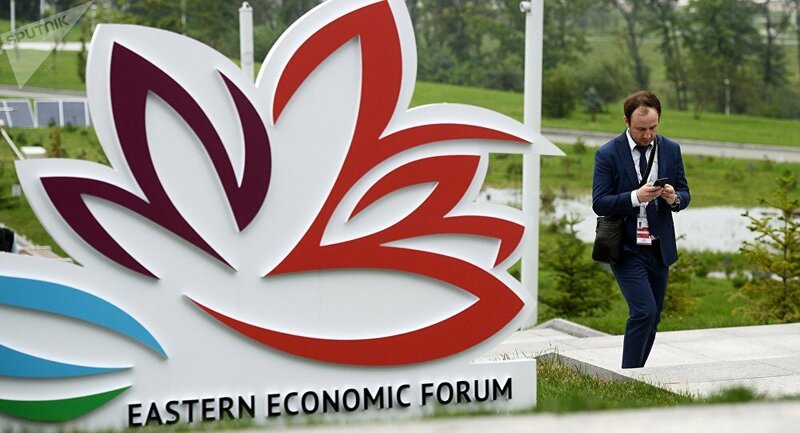 The venue also hosts big international events, such as the Eastern Economic Forum. The world’s longest cable-stayed bridge was built to establish a transportation link between the island and the main part of the city. Now the bridge also serves as the best photo-op attraction, which reminds many visitors, especially foreigners, of San Francisco’s Golden Gate bridge. A delegation of US Ivy League university students came to this year’s Eastern Economic Forum for their own kind of “bridge building” – to talk to key Russian politicians, professors and students, and to exercise diplomacy while political relations between Moscow and Washington are at an all-time low. ​The delegation is part of the Russian-American Cooperation initiative – a new NGO whose aim is to connect people and bridge nations. "If we’re not the ones that start it – then who else is gonna do it? As great as our leaders are, they are busy with their own agenda, so in order for us to make some real change – it obviously starts with the younger generations." The US delegation is planning to visit the campus of the Far Eastern Federal University once again later on to meet with students and professors. The Russian-American Cooperation initiative will make it possible for students from Columbia, Browne, Princeton and Dartmouth to visit Russia. After the test run at the Vladivostok forum, the organizers are hoping to organize a series of high-level meetings for American students in Moscow. On its second day, the Eastern Economic Forum will be attended by several world leaders, including Russian President Vladimir Putin, Chinese President Xi Jinping, Japanese Prime Minister Shinzo Abe, South Korea’s Prime Minister Lee Nak-yeon and Mongolian President Khaltmaagiin Battulga.